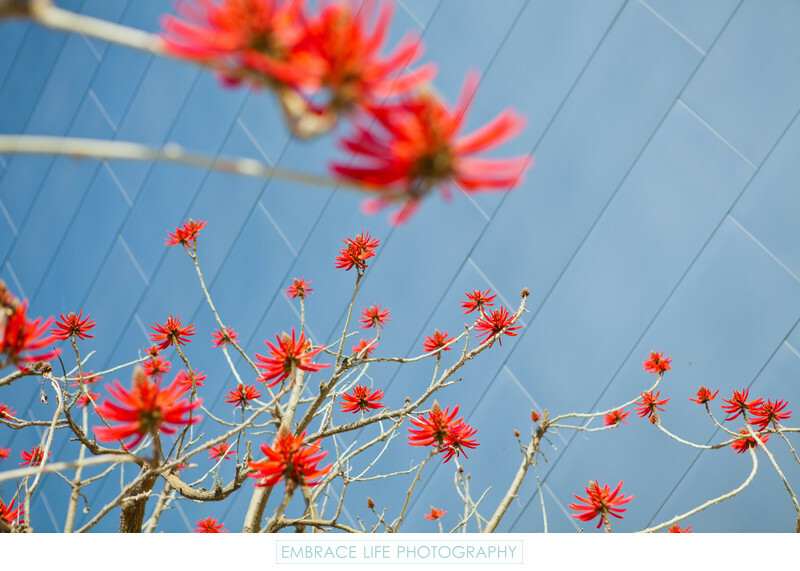 A beautiful detail photograph of a vibrant, red, flowering tree contrasted against the metallic exterior of the Walt Disney Concert Hall reflecting the blue sky. While photographing a surprise marriage proposal at this DTLA land mark, all the visual beauty was captured to help the couple remember every detail of this memorable life event. Location: 111 South Grand Avenue, Los Angeles, CA.